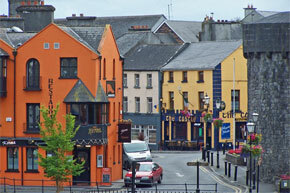 The Town of Athlone is recognised throughout Ireland as the biggest town nearest the centre of Ireland. The town is situated almost halfway between the countries two major cities, Dublin and Cork, and has always been an important crossing point on the river Shannon. 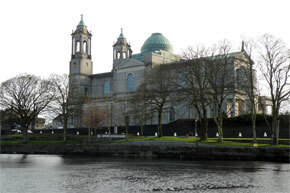 Athlone is one of the biggest towns on the Shannon River, and as such has a great deal to offer. There is a wide variety of pubs and restaurants to choose from, as well as major department stores and fast food outlets. Despite the rapid expansion of this bustling town, it has managed to retain its’ old world charm within the narrow streets. 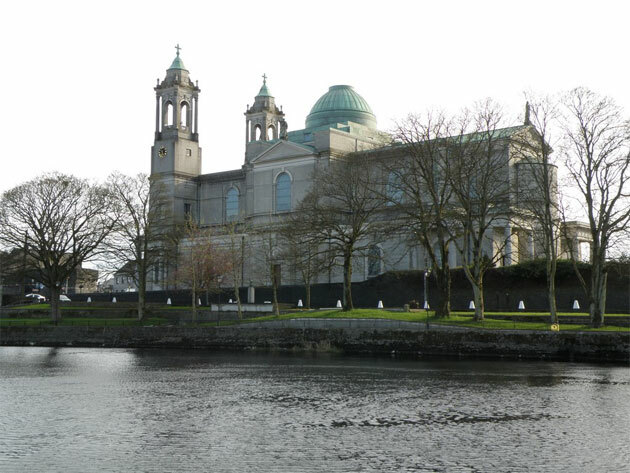 Athlone is at the foot of lough Ree, one of the biggest lakes to be crossed while cruising the Shannon, and as such offers a wealth of water related sports and activities. 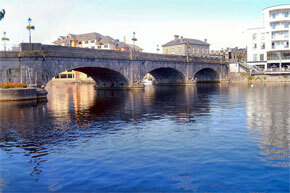 The name 'Athlone' is derived from the Irish 'Ath Luan' , which means 'The Ford of Luan'. According to the story, a man called Luan kept a hostelry here and acted as a guide to travellers who needed to cross the wild currents of the river. 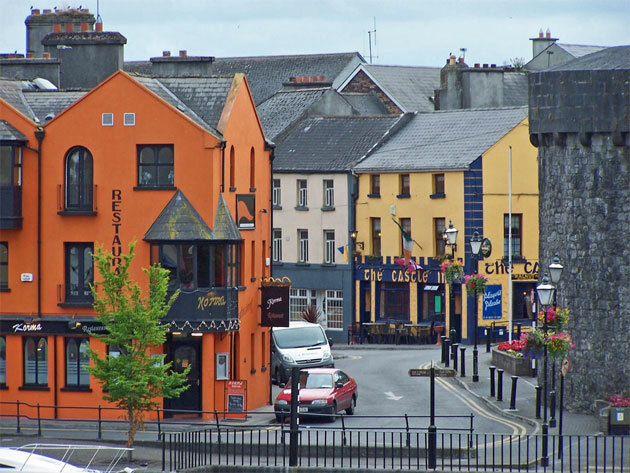 Due to its location in the centre of Ireland, Athlone has always been of great strategic importance and has always housed a garrison of some sort. The current garrison is known as Custume Barracks, and was built in the 1690s. The original wooden fort at Athlone was replaced in 1210 by the Normans, and the town walls were built in 1257. The town was the scene for many fierce battles, and the walls and castle have been partially destroyed and rebuilt many times over the years, although there is little evidence remaining of the town walls. Above the weir in Athlone the river runs faster then below the weir, but still fishes well for Roach, Rudd and Hybrids. Below the weir the water runs slower and deeper, and holds large stocks of Roach and Hybrids, and Bream to 6lb, although lots of ground bait is advised. There’s some salmon to be caught in the Shannon and Lough Ree, and both fish well for trout, especially in late May to early June. Lough Garnafailagh has produced some remarkable catches of tench and bream, and there’s good fishing for rudd and bream at Barrymore Point. The ancient abbey at Clonmacnoise is one of the most famous sites of its kind in Europe. Built by St. Kieran in about 545AD, the abbey grew in stature to become one of the great monastic cities of early Europe. There are many crosses and towers still standing at the site, and the interpretive centre draws about 100,000 visitors every year. There are exhibitions and an audio-visual show, and a tea room. Lough Ree is one of the largest lakes in Ireland and contains a wealth of historical sites on the shore and on the many Islands on the lake, as well as some interesting flora and fauna. The Islands on the lake include Hare Island, where St. Ciaran is said to have lived at a monastic settlement before founding Clonmacnoise Abbey. The largest hoard of Viking gold ever discovered in Western Europe was found here. The island remained in the hands of the religious and then passed through some of the most influential families in the area. Inchmore is the largest island on the lake, and the remains of a ring fort can clearly be seen here. The island was also home to an early Christian monastery and a lodge built by the Marquis of Westmeath. The island was abandoned in the early twentieth century, although some people have built holiday homes here in recent years. Saints Island was the site of a priory built by the Dillons around the year 1200. Other islands of interest on the lake include Inchbofin and Quaker Island. 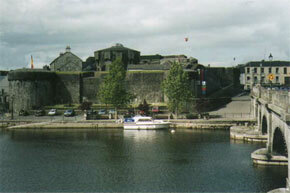 Athlone Castle was originally built in the year 1210 by the Normans on the site of an old wooden fort. Since then, the castle has been attacked and damaged many times, leading to rebuilding and remodelling. The castle now housed an interpretive centre, tourist office, gallery, museum and tea rooms. The peatlands between Shannonbridge and Athlone display an abundance of flora and fauna. The callow in this area is considered by some to be the richest in Europe.